In this May 9, 2017, file photo, a package from Amazon Prime is loaded for delivery in New York. 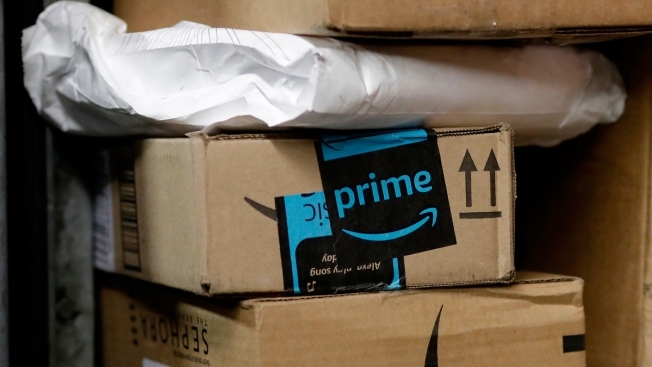 Amazon bans some customers who return too many products they buy, according to a new Wall Street Journal report, with some people describing being banned for returning products from clothing to cellphones. CNBC commenter Todd Haselton argues that the appeal of Amazon is that consumers can use it to buy what they like, see if it fits and return it if it doesn't fit. "If it is going to ding us, then it should give us proper terms so we know when we're at risk of violating its unspoken policies," he wrote. An Amazon representative didn't explain to him how it flags accounts but said "there are rare occasions where someone abuses our service over an extended period of time" and encouraged people who believe Amazon made an error to contact them directly.